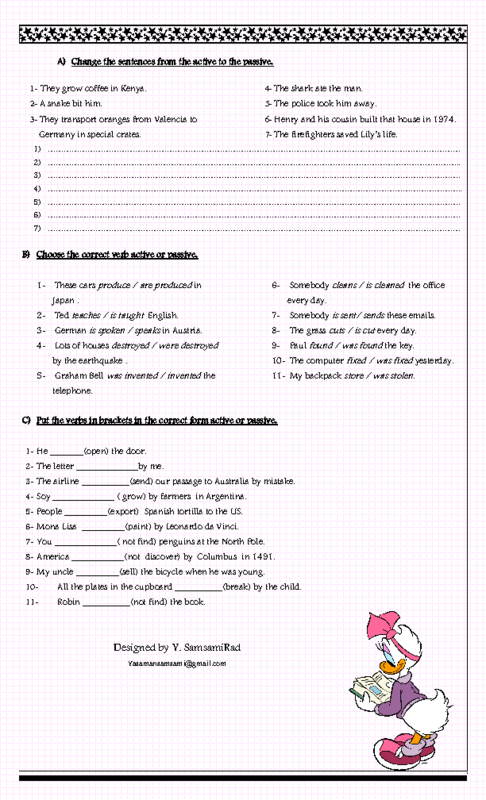 This worksheet includes 3 activities for reviewing active and passive voice. 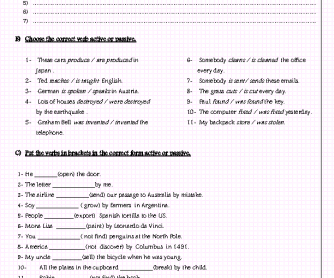 First, students are asked to rewrite the sentences from active to passive. Then, they are asked to underline the correct verb. And finally they are asked to write the correct form of the verb. Hope it helps.